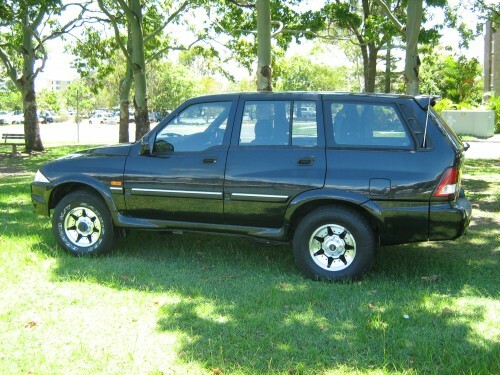 In this post I’m going to share how I picked up a two 4WD wagons for next to nothing, and made a bunch of cash. And there’s no reason why you can’t do it too. I have spent some time visiting and buying from car auctions in both Melbourne and Brisbane, and on so many occasions, I have to say when it comes to getting an amazing bargain it’s more about luck than anything else. That’s not to say that due diligence isn’t important, it really is, if you don’t follow some of the tips I have suggested here, then your’e really looking for blind luck, which is a rare beast. It’s also rare to see crazy bargains for high quality, popular vehicles such as you see in ex-lease /ex-gov sales and so on, sure, you can save some bucks and get a nice set of wheels, but don’t go expecting a give-away sale. Where I see people get lucky, and have also been myself, is in the unusual. It’s that car that people don’t want or perhaps it’s a car in a damaged lane that perhaps shouldn’t be. Let me share two personal experiences. The first was from Pickles Auctions in Brisbane, being a mechanic by trade I’d often hunt around at the salvage auctions for something that was easy to repair and would get a year or two of use and be able to sell it for what It cost at that point. Cost free motoring was my aim! 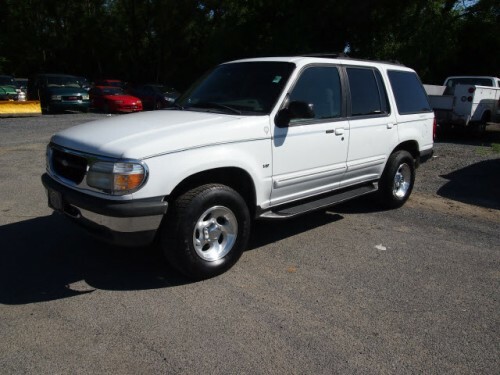 In among all the wrecks and repairable write-offs I found a Ford Explorer, which are not that popular in a normal sale, so I give it a look over, sometimes it’s the ugly duckling that turns out to be a princess! Turned out to be true, it was marked as a repairable write off, but appeared to only have minor panel damage and a broken taillight. There’s no serviceability reports on cars in these types of sales so it was a bit of a punt as to whether there may be engine or gearbox damage. It was low k’s and looked extremely well looked after. When the lot came up for auction, there was very little interest so I snagged it for a quite attractive price, really attractive – $800. Long story short, it turns out the insurance company wrote the vehicle for being ‘economically not viable to repair’ due to the exorbitantly high cost of imported side plastic molds and the taillight, plus the minor body repairs needed, plus the fact the book value is so low on these, they just wrote it off. A trip to the local wrecker for parts, and a couple of trips to the registry office (inc. getting the WOVR removed), and it was on the road for less than a third of what you could buy one for anywhere else. Turned out to be a really great vehicle, and I was kind of sad to see it go when I sold later on. I sold it for near to $7000. Side note: There are some things to watch out for at salvage auctions and I have written more here. The other time I got lucky was right at the end of day, I had passed on two cars I was interested in as they went way to high for me, but I was keen to pick something up so I stayed on. As the day was coming to a close the crowd had thinned out to a few stragglers and there where three vehicles at the end which were odd balls. This was a sale for road ready cars, every car for sale had reports and some even had finance and warranty available, this was an auction for retail customers not trade buyers. The three cars at the end had no reports, and were way out the back of the yard, no one had even got a chance to look at them. And no one was interested at all when the first one came up for sale, a Ssanyong Musso, not popular at auction at the best of time, and this one was marked as ‘not going’ ‘unknown faults’, OK, I’ll watch. The auctioneer invited an opening bid, no takers so I offered half, he refused and offered to meet me half way, OK, nobody else challenged. I won. I went straight out the yard and found it, it was immaculate, 70,000kms on the clock, no damage, what could be wrong? I borrowed there jump battery and boy was it hard to get turning over, plus it was a diesel, played around with the battery lead connections and eventually got it to fire, and it ran nicely. Hmmm. I raced in and paid for it before they changed there minds! I still own this one, how cheap, crazy cheap, a tenth of what they sell for privately! Yes, that really is it in the picture below!